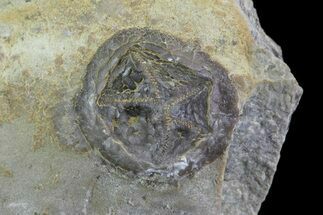 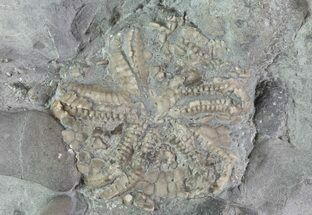 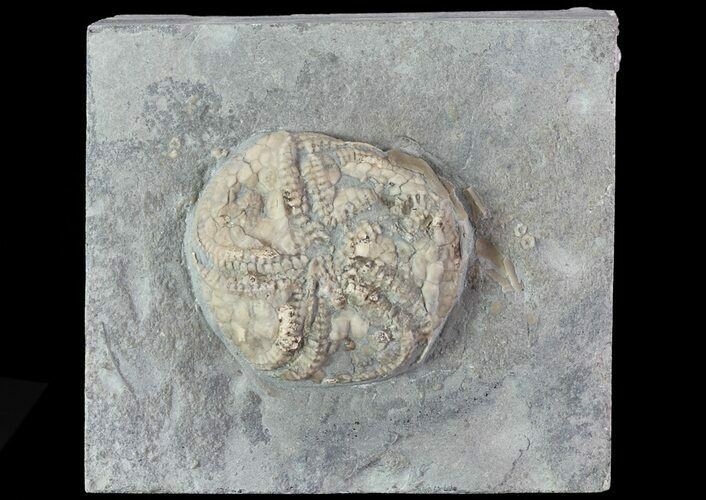 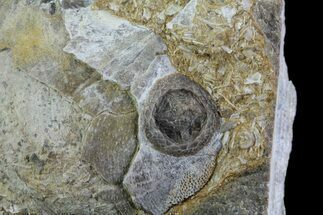 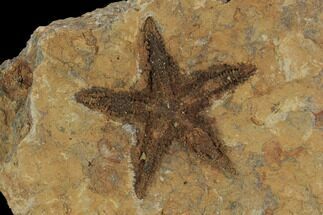 This is a beautifully preserved, Edrioasteroid (Edriophrus levis) fossil from Brechin, Ontario. 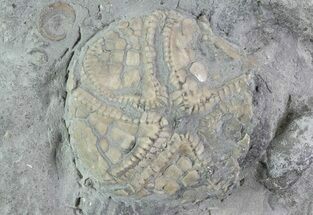 It's located on a thick section of limestone. 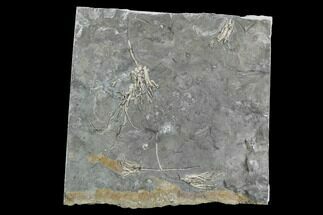 The quarry where these Edrios come from has been closed to collecting for some time.